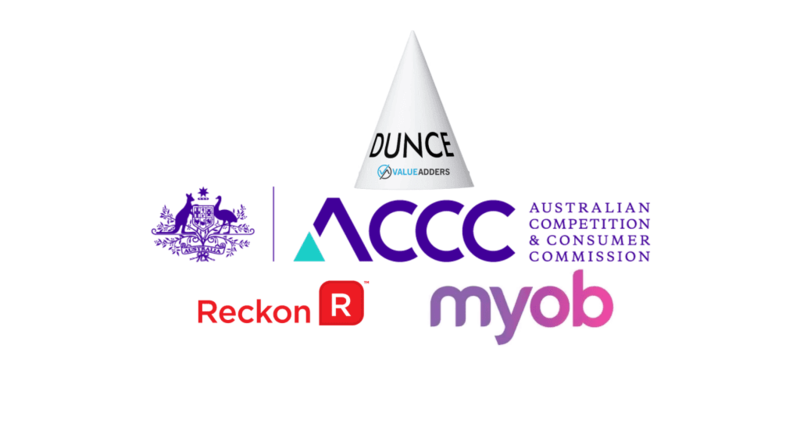 The ACCC has today outlined competition concerns with MYOB’s (ASX: MYO) proposed acquisition of Reckon’s Accountants Group (ASX: RKN). MYOB and Reckon supply software used by accounting firms for tax returns, client accounting and practice operation. The ACCC’s Statement of Issues covers a range of issues, outlining the likely impact of the consolidation. “If MYOB acquired Reckon’s Accountants Group, it would likely be the only supplier of practice software suitable for medium to large accounting firms,” ACCC Commissioner Roger Featherston said. Let’s define ” medium to large accounting firms”. So medium is the average sized firm? So “Medium to large” suggests average and above? Right? There were 133,216 employees in the Accounting Services Industry at the time the BankWest report above was compiled. 133,216 / 31,762 = 4.2 employees, per average accounting services firm. So, the ACCC is suggesting that the only software option for firms with 5+ staff is MYOB or Reckon… Really? For me, if there is a market segment that at this very moment in time might have a perceived limited choice, it is purely LARGE. Certainly not medium. So has anyone spoken to the large firms? Or were only submissions from the nay-sayers considered?? Perhaps ACCC surveying the Financial Review top 100 might be a place to start? Its an imperfect list (see Tweet from Chris Hooper below) as only firms that opted in are included, but nontheless, a good place to start to understand the options for LARGE firms? Interestingly relative to the list and article, Chris’s innovative, fast growing firm Accodex (which would have been included had it supplied the data) I believe, uses Salesforce and Xero, not Reckon nor MYOB…! Add to this, I wonder whether the ACCC has seen these media reports? 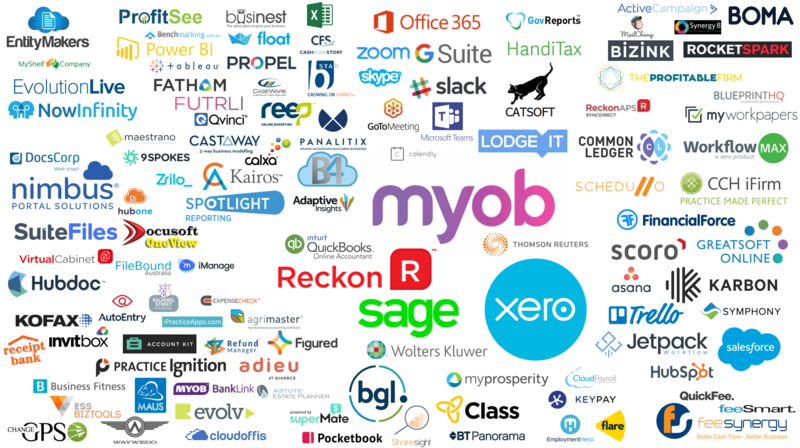 Greatsoft (used by BIG 4 firms in Africa), are officially in Australia (and at the recent Accounting Business Expo), with Cloud technology that is more than a decade mature, with more than 50,000 timesheet users active on the platform… So Cloud based Practice Management for large firms is already available, mature, tried and tested…!? “If MYOB has a monopoly on this software, it would substantially lessen competition. The ACCC is also stating that a Duopoly is competitive, even when one player has openly given up competing (as Reckon have effectively done)… Really?! If correct, MYOB would be signing their own death warrant. No-one can argue that we are undergoing a major transition in the industry. No question new players like Xero are aggressively competing at practice level, against the historical dominance of MYOB, Reckon and Sage. If MYOB acquired the Reckon assets and simply price gouged and reduced services (for short-term P&L benefit), they will not get a return on their substantial investment and provide existing and emerging competitors a free shot at their combined (MYOB AO, AE, APS and Elite) client base. This is an illogical argument. Under the Corporations Act, MYOB directors have an obligation to the company and its survival. Price gouging and reducing service offerings at this critical point of transition in the market would jeopardise the future of MYOB, which I contend, is illegal already under the corps act. The ACCC’s initial analysis identified that medium to large accounting firms require advanced features from software, including flexibility in reporting and workflow, flexibility in matter and customer management, advanced security configurations, and the ability to support many concurrent users. They also want innovation, lower infrastructure costs, functionality smaller firms get that they envy….. a race is on to meet evolving customer demands. Reckon aren’t even in the race. They have no plans to address their ageing technology stack. No desire continue to compete. How is it in the market’s and the Reckon client base’s interest to not allow this acquisition and thus give APS and Elite customers a forlorn future?! “The ACCC received feedback from the accounting industry that MYOB’s AE product and Reckon’s APS product are the only products that are capable of meeting the software needs of medium to large accounting firms,” Mr Featherston said. This maybe true for competitors like Xero, CCH and Thomson Rueters, but not true for Greatsoft, Sage, Salesforce etc as has already been proven above. My assessment, from talking to the competitors, is this acquisition would spur greater investment and fasten the market transition to innovative, cloud offerings. and a cautious approach from the industry towards changing to untested suppliers,” Mr Featherston said. I could break down the Statement of Issues, but the crux of my issue with this document, are spelt out above. 1. Have they genuinely researched the market or just taken (biased) submissions? I get a strong feeling the loose definitions and narrow focuses, show they haven’t done genuine research themselves and have relied on inaccurate submissions. Either MYOB or Sage buys them and offers them a future; OR what?? As the graphic highlights, the specific phase is defined by few competitors; low increments of innovation; high margins. For me, the acquisition will speed up the market’s transition back into the “Fluid Phase”, with cloud, seamless flows of data, APIs, micro-services, new revenue models and user experience design the new paradigms. For ALL firms outside of large, the market has already moved back into the “Fluid Phase” with participants like Xero, Karbon, Jetpack Workflow very actively winning significant market shares in this space. As the likes of H&R Block, Grant Thornton and Accodex demonstrate, even large firms have innovative alternatives with the likes of Sage, Salesforce and Greatsoft. Reckon Accountant’s division is now a rotting carcass stuck in the specific phase, awaiting competitors to feast upon its clients (as is already happening). Providing Reckon clients with service and a future “upgrade path” can only be good for clients and the broader market! 3. This is a SMALL fraction of the overall market, why does the ACCC care..? I am still struggling to understand why the ACCC would care about a perceived lack of competition in a fractional subset of the overall market? No-one can argue that up-to a certain size, the market is HIGHLY competitive. The argument is what that size is. For me, based on the stats above, its for a very small number of firms (comparatively). I can only hypothesise that this is the BIG 4 influence. Afterall they are so deep into government policy and decision making they gouged $1.7b over the past 5 years from public coffers! 4. The very definition of what is practice management software is loose. I contend that a firm of any size, could easily pull together a tech stack that does not include MYOB or Reckon. 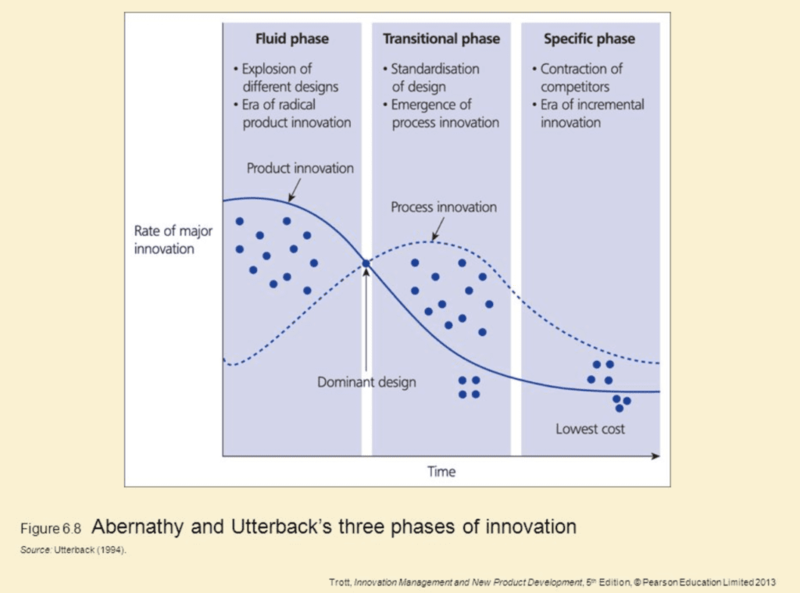 Even if there are a perceived lack of competitors TODAY, no-one can argue that the cloud, mobile, AI etc brings the market back into an innovation rich, Fluid Phase (per the Abernathy model above). MYOB will already have a hard time securing and retaining the Reckon client base (GT, H&R Block as examples). Price gouging and a lack of service, would accelerate the en masse exiting of MYOB and Reckon clients (which to an extent, is already occurring at small and medium end of town) and MYOB directors would be answerable to shareholders (and possibly ASIC) if they allowed this to happen. For the ACCC not to believe/understand this, they a) don’t understand competitive forces (their job); and b) are effectively poo pooing the protections of the Corps Act!